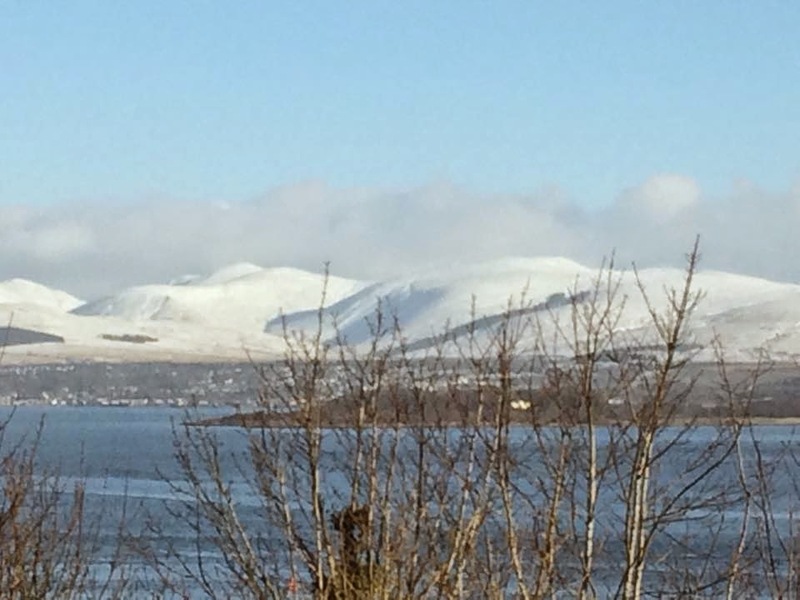 My OUTLANDER Purgatory: "Towering in Gallant Fame, Scotland my Mountain Hame..."
"Towering in Gallant Fame, Scotland my Mountain Hame..."
My friend Hugh's view this AM from his house in Scotland. Stunning!! Right Emily? I can't even imagine looking at that every morning when I wake up. GORGEOUS!